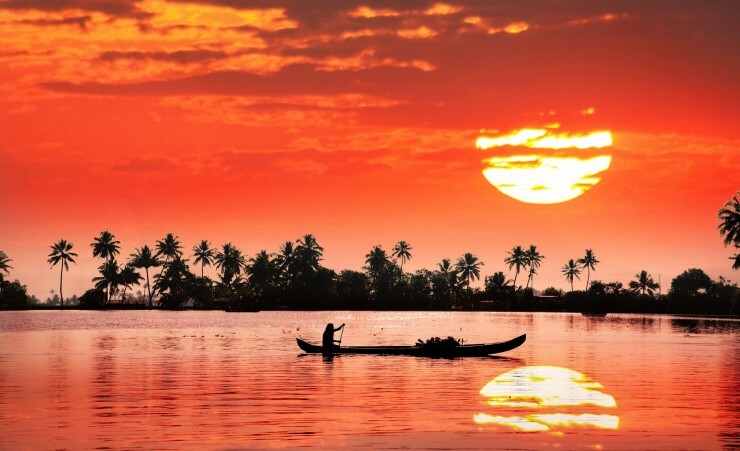 Characterised by winding emerald rivers, exotic wildlife, spice plantations and lush landscapes, the south Indian state of Kerala exudes tranquillity and beauty. 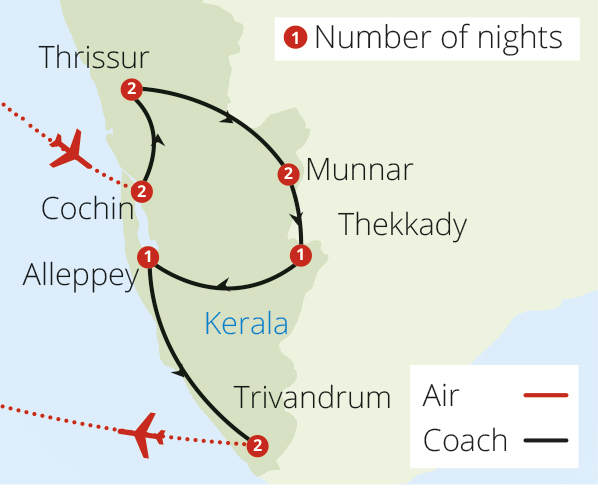 Depart London on your overnight flight to Kerala, via Mumbai. On arrival at Kochi International airport, you will be met by your guide and transferred to your hotel where you will check in and have dinner. The rest of your evening is at leisure. Start your day with a 45 minute Ayuervedic massage and breakfast at your hotel. This afternoon enjoy a traditional lunch of Sadhya, a delicacy in Kerala served on a banana leaf, before you begin your tour of Kochi, the historic centre of India's spice trade. 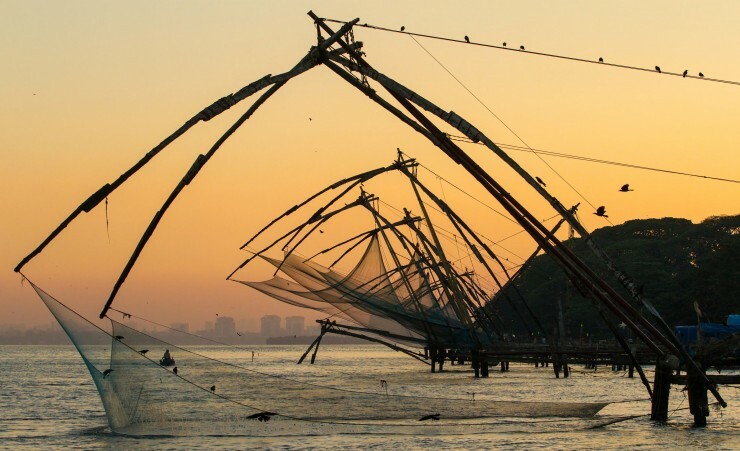 See the ancient Chinese influence in the impressive fishing nets, still used daily by locals, and take a ride through the village road in a tuk-tuk. You will also see the Mattanchery Dutch Palace and the oldest European church in India, St. Francis before returning to your hotel in Kochi for the evening. 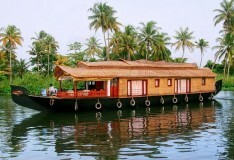 Today you will board a traditional houseboat which will be your transport and accommodation. 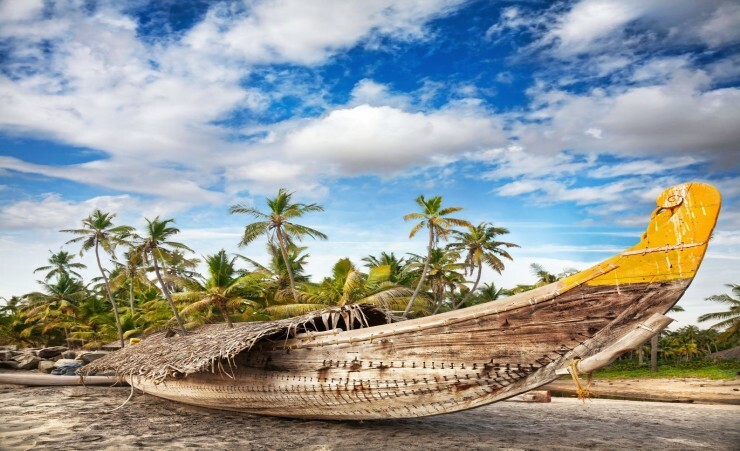 This leisurely cruise takes you through the winding backwaters of Kerala, enjoying the local food and stunning rural scenery of the surrounding Kerala villages and waters. Meandering through the beautiful lagoons, rivers and canals is truly an amazing experience like no other. Following breakfast, today you will experience the local culture with 'A Day with the Masters', an introduction to the world of Kerala's traditional performing arts. Learn about traditional Sanskrit theatre. 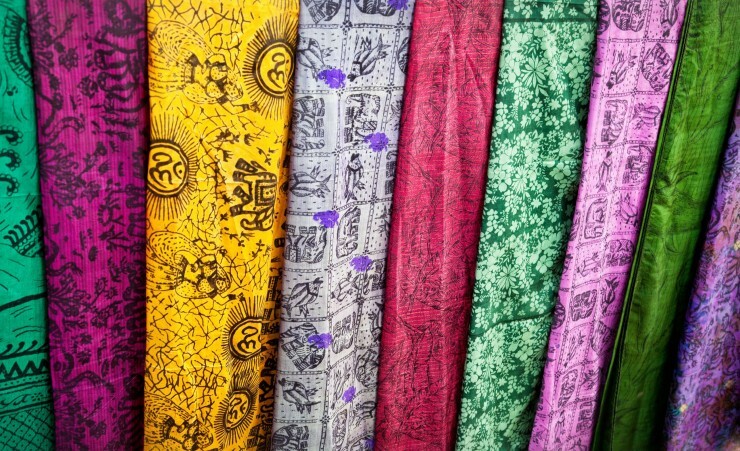 Following breakfast, today will be your chance to gain insight into the local culture with 'A Day with the Masters', an introduction to the world of Kerala's traditional performing arts. 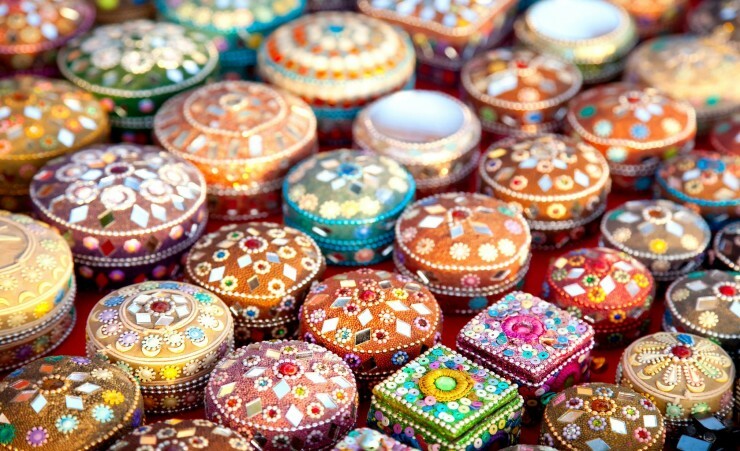 Learn about traditional Sanskrit theatre, percussion music and the training of each art form, as well as the life of an artist. Retire to your hotel in the evening for dinner and your overnight stay. 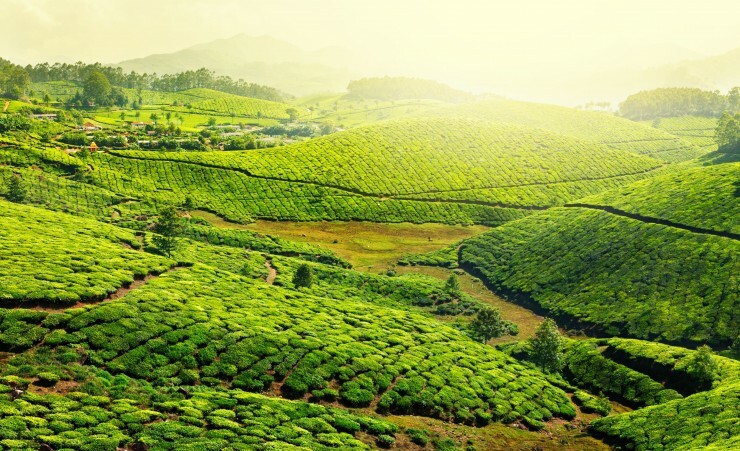 The tour will depart Thrissur in the morning and travel to Munnar, known for its expanse of tea plantations, rolling valleys and mountains. Stopping en route for lunch, the rest of the day will be free time where you may choose to hire a bicycle and ride through Munnar's beautiful paths, or simply relax with a good book at your hotel. 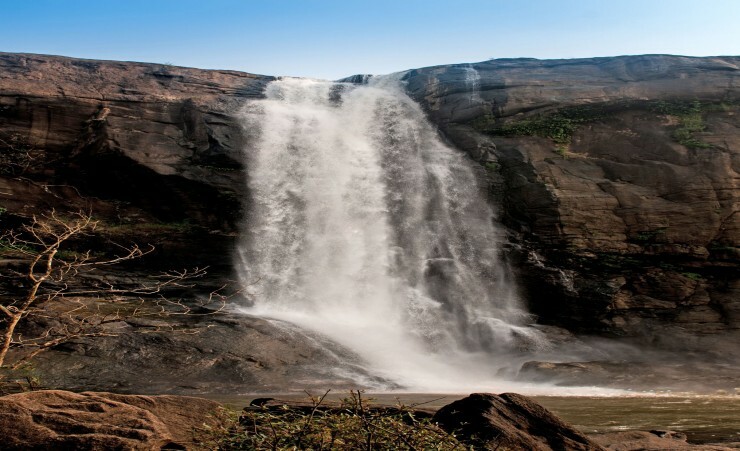 Today you will have a tour of Munnar, a nature lover's paradise. Visit Mattupetty Lake, Echo Point, Gundala Lake and Jungle Honey Bee Nest, where over 20 nests occupy a single tree. 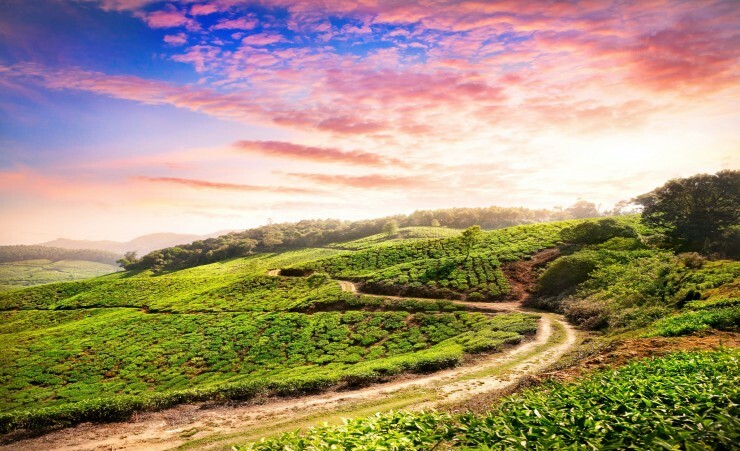 You will then continue to a tea plantation and Rajamalai National Park, famous for its largest surviving population of Nilgiri Tahr (wild goat). 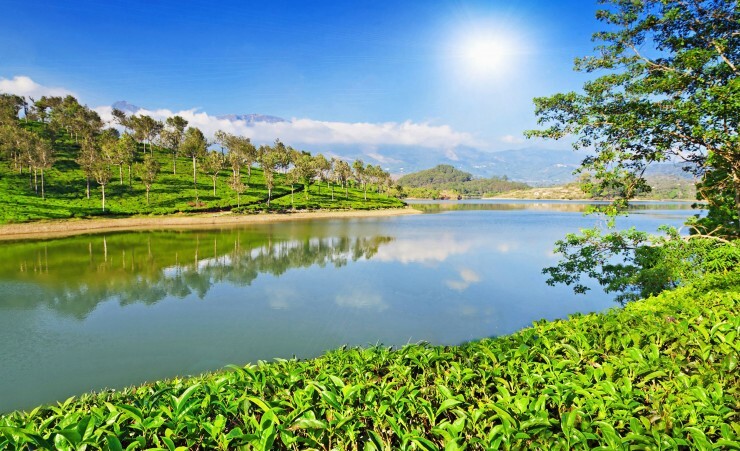 The tour will then journey to Thekkady, a stunning area located high in the Cardamom hills containing tea gardens, rubber, coffee and pepper plantations. 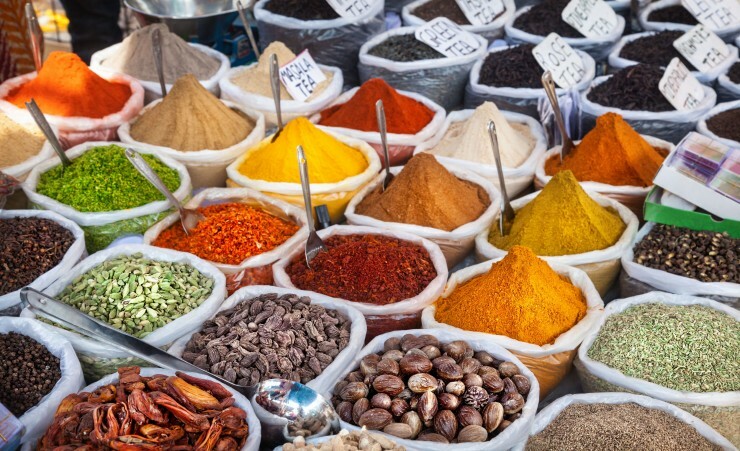 Following lunch, a visit to a plantation and spice market awaits you. 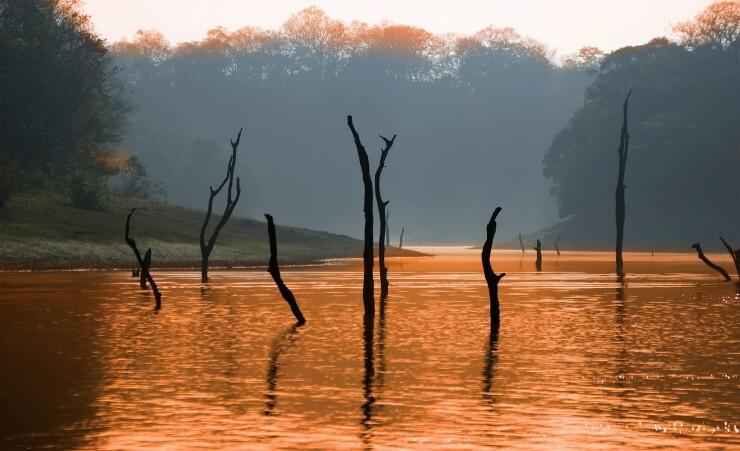 A highlight of Thekkady is the Periyar National Park, India's largest wildlife sanctuary. Board a boat at Periyar Lake where you will have the chance to spot some elephants, or one of the park's 25 Bengal tigers amongst other birds, reptiles and mammals. From here you will then travel on to Trivandrum, en route enjoy the scenic beauty of Kerala's various villages before arriving at your hotel for your overnight stay. Depart in the morning for a half day city tour. Witness the magnificent Kanakakunnu Palace, one of the last architectural relics of the colonial era, then see the famous Sri Padmanabha Swami Temple, one of the principle places of worship of the deity of Vaishnavism. 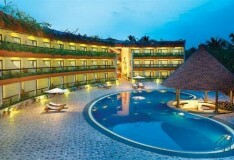 You will then return to your hotel to enjoy another Ayurvedic massage before your farewell dinner. Transfer to the airport for your flight to the UK. Please note the itinerary on the website is for 2019 departures ONLY, for 2020 departures please download the 2020 dossier and refer to this. The same inclusions apply however it is in a different order. A visa is required for entry into India. British Citizen Passport Holders will need to obtain an e-Tourist Visa (eTV) for travel to India. We work closely with The Travel Visa Company who will be able to arrange your visa on your behalf. Please call them on 01270 250 590 and quote 'Mercury Holidays'. The cost of the visa is approximately £114 per person. The Travel Visa Company can only apply for this 30 days before your proposed travel date and takes around 10 working days to issue. It is only valid for a 30-day single entry stay from the date of arrival. When calling the Travel Visa Company they will advise you of any changes to the fees or the procedure, they will also advise you of all the information they will require in order to apply for the visa. Flights are operated with Emirates, departing London Heathrow via Dubai. Each passenger is entitled to 30KG of hold luggage plus 1 item of hand luggage not exceeding (Max 10kg - 55cm/38cm/ 20cm) in size. Weight restrictions will be finalized on E-ticket receipt. Should you wish to take additional luggage you will need to pay extra at check- in. Check-In should be at least 3 hours before departure. 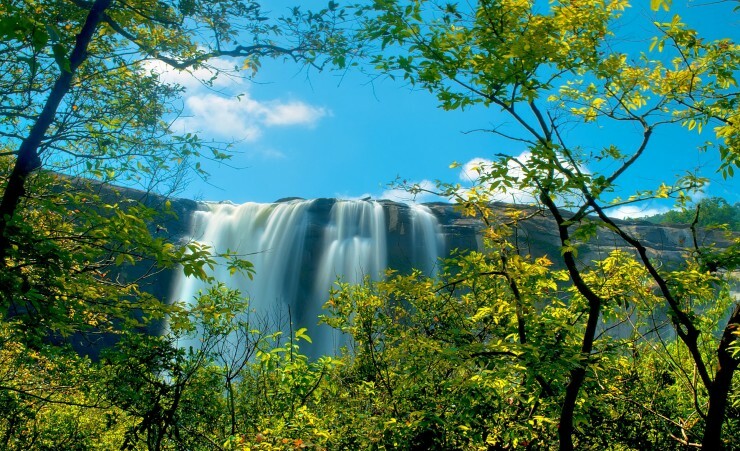 This is a fully escorted tour, meaning that you will be met on arrival by your national guide who will remain with you for the duration of your trip. The currency in India is the Rupee or Rs. The Rupee is a closed currency and officially you are not allowed to take any cash out of India. US Dollars and GBP are also widely accepted in India should you wish to keep an alternative currency on you. There are restrictions on taking Indian rupees into India. Visitors, including tourists, are not permitted to take any amount of Indian currency into the country. You can take cash or travellers' cheques (in pounds sterling or another foreign currency) and/or a bank card with you and exchange or withdraw rupees once in India. Please note that Kerala has strict laws regarding the governance of the sale of alcohol in public places including hotels and restaurants. The sale and consumption of alcohol is therefore often restricted in hotels, varying from one establishment to another. However, you may bring your own alcohol with you for private consumption in your room. From May 2019 if you have a Kerala Extension your flights to India will be with Emirates, via Dubai. Please refer to your final ticketing documentation for information on baggage and confirmed flight times. As our flights were changed at the last minute our first hotel was a stop gap, it was basic and thankfully we only stayed for a few hours. All the hotels were of a good standard so offering a few extras like The Casino who had live music in the evening. We opted for a beach extension and stayed at The Taj, impressive and luxuriant with service second to none. We were very happy with the hotels we stayed in. All were clean and comfortable with very good food. We had a fabulous holiday and would recommend Mercury as everything was well planned and generous. Our tour guide was amazing, the best we have ever encountered. His English was excellent and he had answers for all our questions. He has a wonderful sense of humour and looked after each person's needs with kindness, tact and thoughtfulness. He went the extra mile to ensure we were happy. Our Driver and Baggage Boy were also charming, always smiling and welcoming and very hard working. The Team of Three really made the holiday extra special! Hotels were all very good standard. The Rep Mohammed was very knowledgeable and helped with certain members of the group when needed. Although the coach driver was excellent and road travel in India is definitely something to try, we felt too much time was spent on the coach, appreciate the distance that needs covering, maybe more breaks? The guide was friendly and took care of us. All hotels stayed at were excellent. Le Meridien beautiful hotel in fabulous grounds. Houseboat was a relaxing experience. River Retreat very different kind of hotel, beautiful gardens. Tea County was a real adventure to stay in. Uday suites like staying in a tropical garden. Our guide Muhammad went over and above what was expected. He made sure we were comfortable in all situations. He was the most amazing guide I have experienced, knowledgeable, a sense of humour, very caring, helpful, nothing too much trouble for him. His team in Kerala is an asset to Mercury Holidays. All hotels which were used throughout this tour were excellent with good facilities, good food and good locations with easy access to sightseeing. The group who shared our tour gelled very quickly which enhanced our enjoyment. However I understand that one person was not happy and constantly complained, in my opinion everything was provided for this person but they still found fault! The tour guide Mohammed is one of the best guides I have been with on Mercury Tours - he was friendly, professional, knowledgeable and went the extra mile to ensure that our holiday was enjoyable - he is an asset to your Kerala Tour programme. Hotels generally of a good standard, clean and comfortable. Staff wonderful in every hotel. 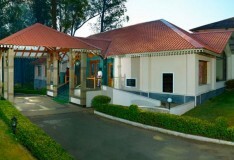 The Taj Green Cove was exceptional in all respects and far exceeded expectations on all levels. As stated the service provided by Jayresee was excellent - very comfortable air-conditioned transport, driver dealt with exceptional road conditions which were still being repaired following flooding. Tour reps were extremely good and always ensured the whole party were comfortable and wanted for nothing. A credit to the company. All accommodation was of a high standard. Roomy bedrooms, king size beds, hot water, everything a traveller could require. Good standard in all hotels. Clean and staff were attentive, food good. Could have done with more Air conditioning to sit in rather than just our room. The restaurants were very hot. I will not fly with Jet Airways again. I would be willing to pay the extra and fly with a "better" airline in future. 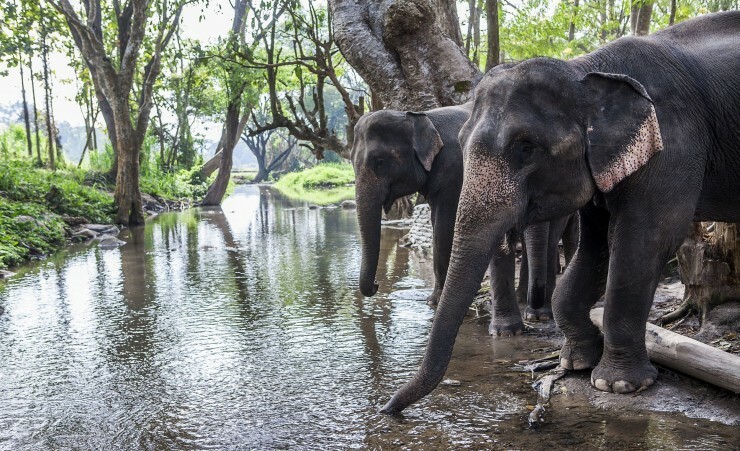 Please Mercury Holidays, remove the Elephant Sanctuary visit from the itinerary. The conditions that the animals are kept in is a disgrace and the elephants were showing serious signs of distress. A number of our group left the visit early as we were so disgusted at the conditions. Had the best time ever. Loved every bit of it. Staff exceptional. The tour was very good and the guide and driver were excellent. We enjoyed all of the trip, especially enjoyed the houseboat. Wildlife Sanctuary did not have air conditioning so we were very hot but every other hotel had a/c so we were fine. 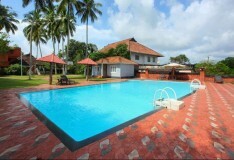 We felt a little isolated at the Cochin hotel as we could not walk out to anywhere useful. We loved Fort Cochin which had loads of restaurants and interest .. a better place to have been placed. All were excellent, perhaps a couple could have had better shower facilities in the rooms (no hot water) but all very comfortable and staff were excellent. Very good standard. Rooms clean, no problems. We appreciated having tea-making facilities. Good range of local food in all hotels. Quality of hotels was excellent with usual issues of plumbing and electricity. The pace of the tour was just right. I was never over tired. The guide Raj was more than excellent, he went over and above anything that could be expected. All hotels were of high standard. No problems. With a personalised consultation and treatment schedule, experience the widely recognised benefits of Ayurveda, the oldest and most complete healing system in the world. This add-on tour must be taken at the end of the main tour. 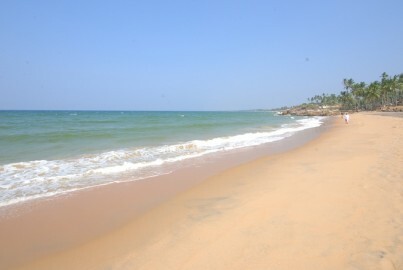 Extend your tour with a relaxing beach stay in the Indian State of Kerala. Relax in the popular resort of Kovalam, known locally as the paradise of the south, amongst the coconut groves for which the town is famous.